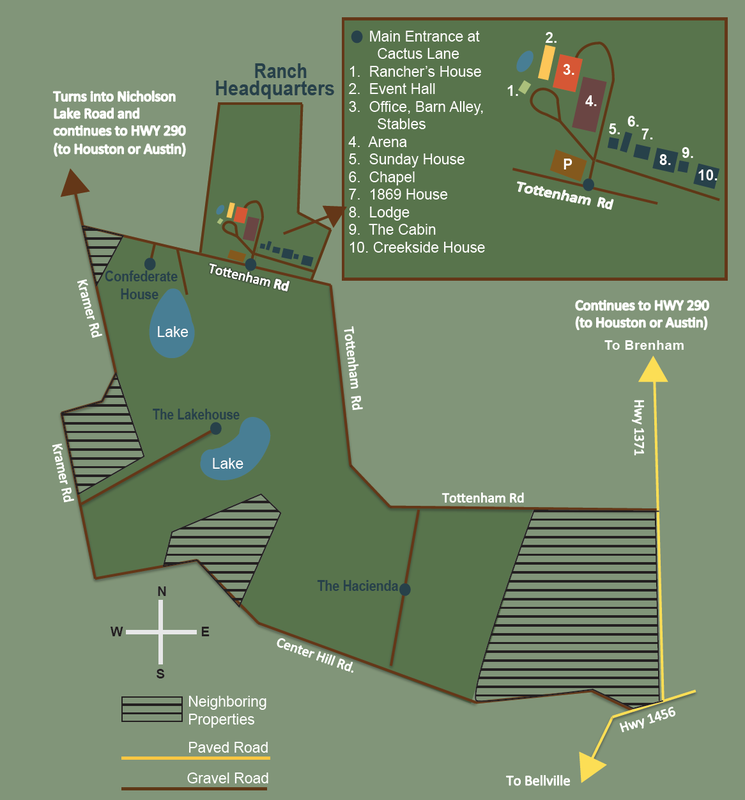 ﻿﻿ Texas Ranch Life is proud to offer a historic and authentic ranch experience. We’ve preserved, restored and luxuriously appointed 8 historic Texas homes dating back to the 1850’s. Although they feature original paint and stenciling, and are furnished in wonderful antiques, oriental rugs, and Texas pieces, all have modern conveniences including central air & heat. Because we provide an intimate and unique experience, cancellations affect us greatly. A one night non-refundable deposit is required to hold a reservation. In the event cancellation is necessary, the deposit may be applied to later weekday stay. However, no cancellations are allowed for holidays, special events and within 2 weeks of stay. All of Texas Ranch Life's facilities are no smoking. Guests are responsible for any damage or loss to property resulting from their stay.